The beauty evolution of the 'Full House' star. 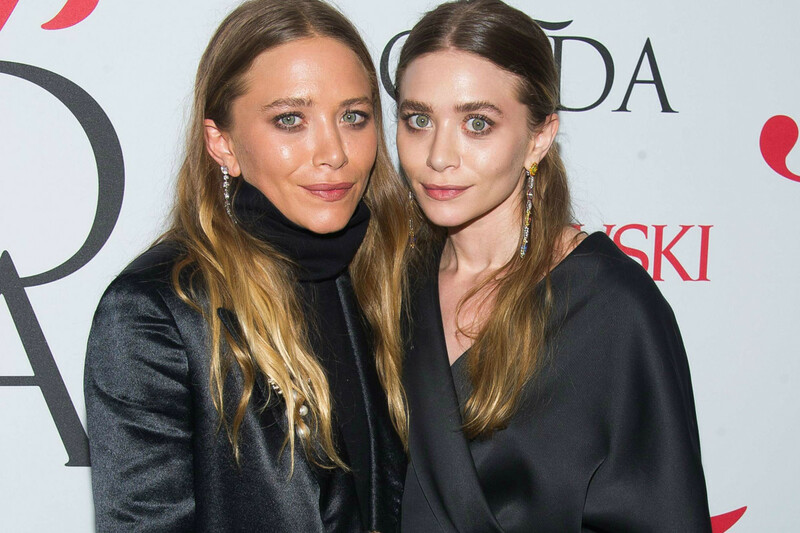 Finally, we can tell the Olsen twins apart! Except it&apos;s not a simple hair or makeup change that has differentiated 28-year-old Mary-Kate Olsen from her fraternal twin sister, Ashley. She definitely has a new look these days, and it&apos;s got me wondering just how much of it is normal aging versus a doctor&apos;s interventions. Mary-Kate Olsen at the 2003 Women in Entertainment Power 100 breakfast. The first pic goes way back to 2003, when the Olsens were first venturing into the fashion world with their Wal-Mart line for teens. What a cutie, right? She was only 17 here, and had those big, round eyes that I now only associate with Ashley. Hair was a flattering mid-auburn. Mary-Kate Olsen at the 2004 Kids&apos; Choice Awards. Fresh-faced and super-adorable. She added some very early &apos;00s blonde highlights to her hair. Honestly, the twins looked so much alike at this stage that I had trouble finding a photo that I could say for sure was Mary-Kate and not her sister! Mary-Kate Olsen at the 2005 ACE Awards. At age 19, Mary-Kate left her cute teenage style behind in favour of this posh sophistication. So gorgeous! Skin is fresh and dewy, brows are au naturel and I love this in-between hair colour so much. You know what? It&apos;s kind of amazing to see a grown-up Olsen twin looking elegant instead of doing that whole "homeless chic" schtick, where they&apos;re deliberately trying NOT to look pretty. Mary-Kate Olsen at the 2006 Weinstein Golden Globes after-party. By 2006, Mary-Kate had crossed over to the Boho side. This was during the Nicole Richie/Lindsay Lohan era. &apos;Nuff said. Mary-Kate Olsen at the 2007 CFDA Fashion Awards. It wasn&apos;t until 2007 that the distinctive style we associate with the Olsen twins really started to take hold. Think bedhead texture, slept-in waves, sooty eyeliner... yep, signature Olsen. She was 21 here. Mary-Kate Olsen at a 2008 screening of &apos;The Curious Case of Benjamin Button&apos;. Pretty much the same look here, just a little less polished. (If you can even use the word "polished" to describe an Olsen twin lately.) Her nose might be ever so slightly narrower here as well. Mary-Kate Olsen at the 2009 premiere of &apos;Whatever Works&apos;. She still seems exactly the same as always here—but take a good look, because 2010 seems to be the pivotal point where things changed. Mary-Kate Olsen at the 2010 CFDA Fashion Awards. This photo is from 2010, when Mary-Kate was 24 years old. Is this even the same person? The changes are pretty dramatic—to me, anyway. Her eyes seem much squintier and less rounded and open. Her cheeks seem fuller. Her nose seems more refined. And her mouth seems tighter, somehow. Sure, these could simply be facial expression things, like she was caught in a weird moment, but when they persist for every photo from this point forward... you have to wonder. Mary-Kate Olsen at the 2011 Met Gala. I love this straight-ish bright blonde hair period she went through briefly. And the hot pink eye makeup is phenomenal. It&apos;s all good... but I&apos;m not sure if makeup is the only explanation for the apparent structural changes. Is it? 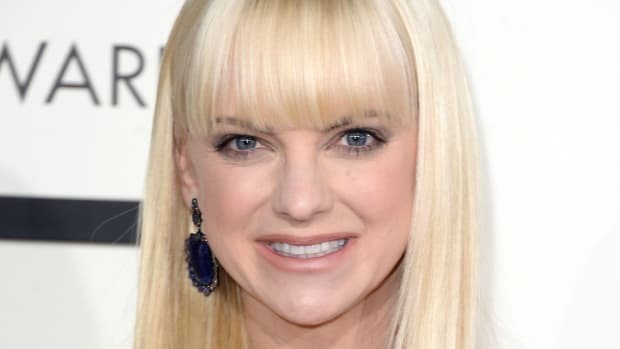 It&apos;s not like she&apos;s a newbie to the red carpet or being photographed, so why does her smile look so suddenly unnatural? Mary-Kate Olsen at the 2012 CFDA Fashion Awards. In 2012, it was back to brunette—and perhaps whatever she did has now "settled." Still, her cheek bones and jawline look so much more chiseled, and at age 26, it would seem a bit early for that kind of fat loss. Then again, she and Ashley are fraternal, not identical twins, so it&apos;s possible their faces would age very differently and at different rates. Mary-Kate Olsen at the 2013 Met Gala. This photo is from 2013, age 27. Back to blonde (and the "homeless chic" look) with tons of hair texture. Where did those cheekbones come from, hey? Mary-Kate Olsen at the 2014 World of Children Awards. Mary-Kate Olsen and Ashley Olsen at the 2015 CFDA Fashion Awards. Another 2015 shot. Is this normal aging (I remind you, Mary-Kate is only 28 now), or did she make some ch-ch-changes? Ashley, Elizabeth and Mary-Kate Olsen at the 2016 CFDA Awards. That&apos;s Mary-Kate on the right, still looking very different from her sisters. 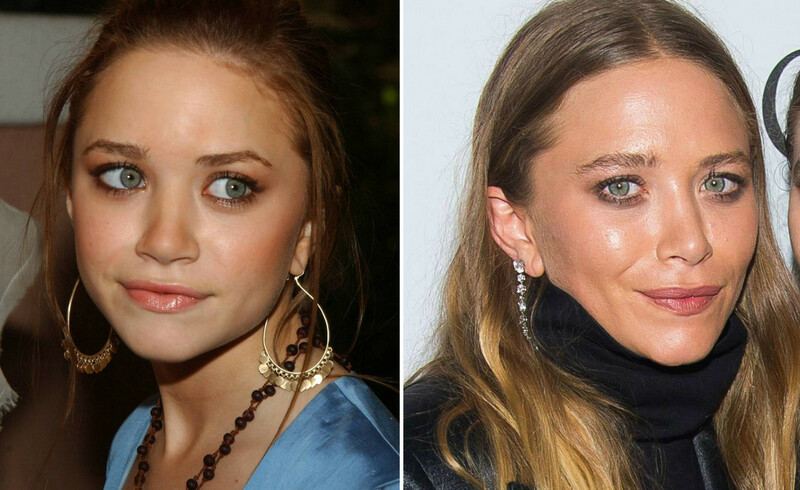 Mary-Kate Olsen in 2003 (left) and in 2015 (right). Back in 2007, there was speculation that the twins had "double rhinoplasties." Personally, I don&apos;t think a nose job can fully account for MK&apos;s new look. But according to the print edition of Star magazine, republished on Celebitchy, Mary-Kate and Ashley are "jealous" of younger sister Elizabeth. "I suspect both sisters have undergone nose jobs," says Dr. Anthony Youn. "Mary-Kate&apos;s looks like a smaller button nose, but a tad pinched." "Both clearly have had rhinoplasty and likely by the same doctor," Dr. Brian Glatt told New Beauty. 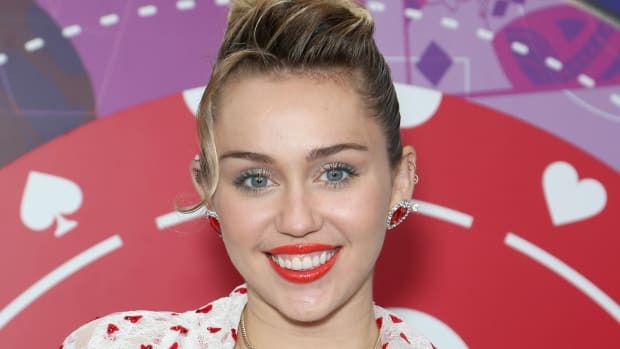 "The tips [of their noses] were thicker and bulbous before and have been shaved down to more of a &apos;point.&apos;" Adds Dr. Marc Malek: "It appears both have had rhinoplasty. Typically, as we age, the nasal tip gets fuller, not thinner [like theirs]. Mary-Kate has a slightly more sloped nose due to bit more resection of the nasal bridge. They most likely had the same surgeon who tried to reproduce the same changes. Unfortunately, the nose is unpredictable at times during the healing phase—it is difficult to make both exact. Only Mother Nature and DNA can truly make twins." The same Dr. Anthony Youn that was quoted in Star thinks she had actually had "several surgeries." He told Radar Online, "Mary-Kate’s eyebrows look much higher than before, the consequence of a possible endoscopic brow lift. Her cheeks also look lifted, too." I hadn&apos;t even considered that possibility... but wouldn&apos;t a brow lift make eyes appear more open, not closed? Whatever is going on, the medical experts seem to think it has not been a natural process. But you know what I always say—her face, her choice, her happiness. I think Dr. Eugene Elliott said it best in Shape: "Sometimes you think, looking at stars, &apos;They looked better before!&apos; and you have to wonder why they did it. Were they pushed to do it by an agent? Are they trying to fix unhappiness in life? You can&apos;t judge other people from the outside but sometimes you do wish you could just talk to them about it." How do you feel about Mary-Kate&apos;s beauty evolution? 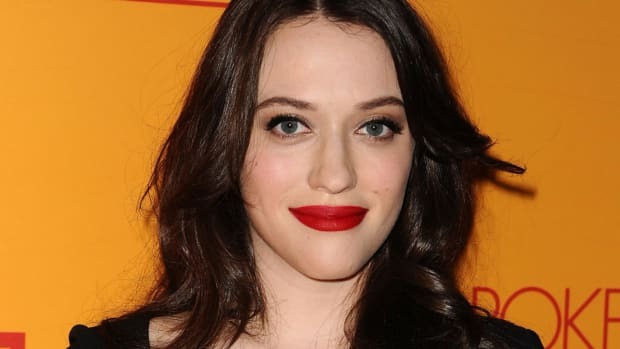 The beauty evolution of the '2 Broke Girls' star.